Shouldn't we be discussing nachos? 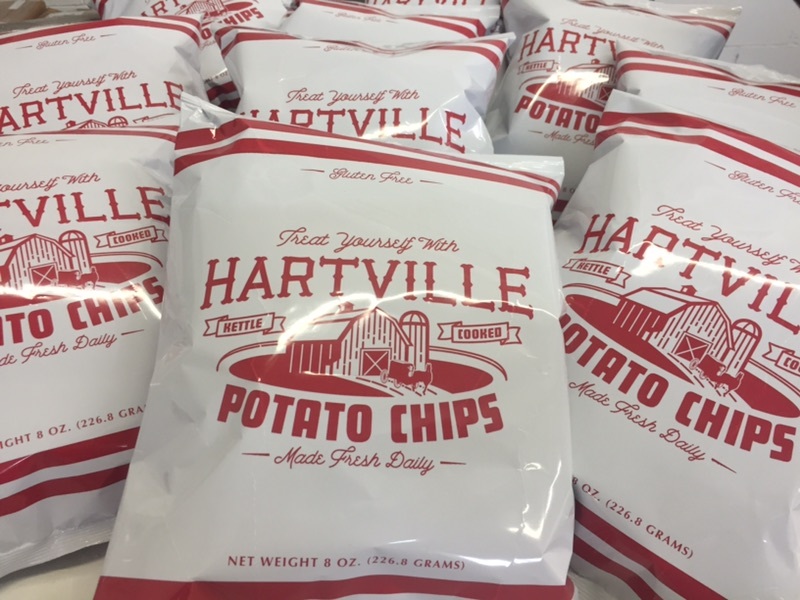 Hartville Kettle Cooked — O.K. No, not "Okay" as in "Oll Korrect". "O.K." as in an achingly absent comestible. A delicacy now a memory. You might object, "But O.K. is still made in Michigan." "Hell, no!," I reply. You keep those O.K.s-in-name-only. Those pretenders to the crown. O.K. died in the early 90's, and I'll have no truck with the man who says otherwise. Suffice it to say that O.K. was a quiet-but-crucial footnote haunting the mazedly twisted mists of regional chipping history. A notable local made in Akron, OH., O.K. 's quiet plying of its trade — proving that "silent, but savorsome" is more than just a ridiculously tired trope — made its masticious marque. But then — ah! — it was gone, aped only the the aforementioned Chip Which Shall Not Be Named. Yet the original owners are now back at it, scratching a living at making a product that truly earns the descriptor "unique". Thickly cut, yet with a friable crumb, there are little-to-no shards to pummel scar-weary squamous. These honest, no-frill farm-specfic (check the bag!) potatoes are lightly-salted, allowing them to speak in their own voices. They're back. Maybe not for ever. But for now, at least. And that's just okay by me. This read like a Psalm, sir. The painful longing, the quiet faith that the Chip itself shall endure for those who are faithful followers of their unknowable peregrinations. I was actually quite moved by it. The local store has just recently been selling Herr's brand in special display cases. I'd never even heard of Herr's but I'm here to tell you that they're the king of chips and cheese curls. Well, the king of punch you in the mouth flavors. I just had me some Horseradish & Cheddar chips so amazing. We need a dancing chip, dammit. Wait 'til they do their Father's Day branding. That's fun. Dunno if they'll do it this year, though. Haven't seen it in a few years, but then again, I'm in OH and the production might not always make it here. 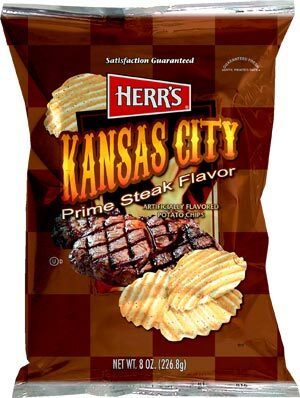 They have a Kansas City Strip flavor. It actually tastes like steak. Do you know how many times I've said to myself, "Paulie, what this world needs is a crunchy potato chip that tastes like a steak."? This is how you get a completely disposable society like Japan, boys. Slow your roll. Is this flavor of chip keto friendly? It’s a dancing cow pie! 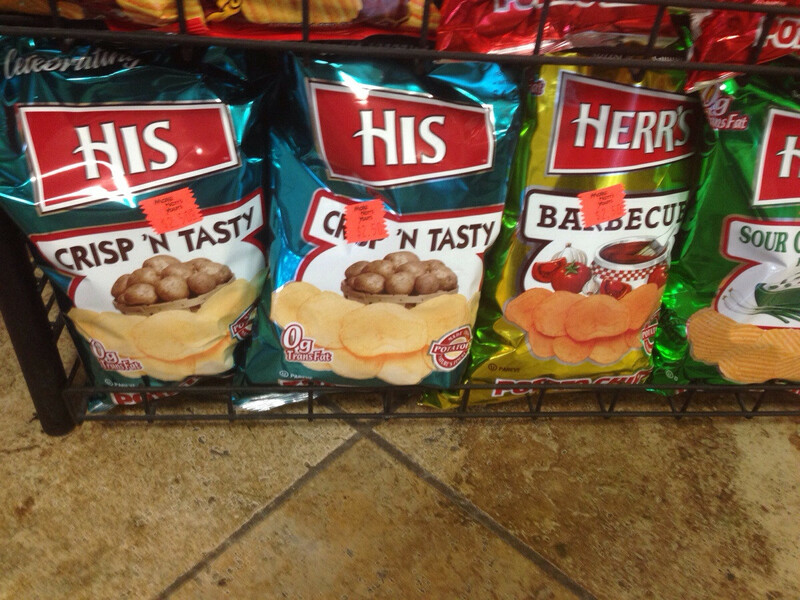 Oh, oft immiserated chip! When shall you enter into your due?!? Munchin' on some of these right now. Sweet, sweet BBQ cheez. Boulder Canyon's Exotic Oils: "Coconut Oil – Sea Salt" & "Rice Bran Oil – Himalayan Pink Salt" — Exotic oils. Huiles exotiques. Evidently, Boulder revels in such unctuous pleasures. Long have they trafficked in Olive and Avocado oils. Now, they add two new iterations to their stable. And though descrying the distinctive lineaments of diverse oils through the sedimented layers of bold seasonings might well be a handicap, the simple savor of salt provides no such impediment. Rather, every nuance is free to shine numinously. Coconut oil — though perhaps something of a cliché in these chip-weary days — lands its dependable double-punch of distinct aromatics and frangible texture on unwary palates. Less dramatically, though no less deliciously, Rice Bran oil adds a marvelously bitter finish and a friable texture to an overarchingly subtle presentation (Himalayan Pink notwithstanding). Top-quality spuds and an irrepressible enthusiasm for chip couture are hallmarks of Boulder, who — by the strength of these offerings — prove themselves once again to be at the top of their game. B-B-Q flavored potato chips and macaroni salad. It's what Summer tastes like. This should be a blog. This blog should compete with that blog. I find it entertaining in the extreme. I rarely eat potato chips but I always click on this topic. That should tell you something. Indeed. This is the most interesting thread on CPS. There should be a Morley named for it to celebrate the year’s most (or least) interesting thread. Wozzie, where do you find and obtain all these lesser-known varieties? Amazon? chipstore.com? He's a button man for the Lavender Mafia, paid in potato chips.